If you're moving and need just the right home in your new city, you won't pay much attention to the time of year when you're buying. Likewise, if the perfect property in the neighborhood you've been eyeing comes on the market, you'll put an offer in no matter what month it is. But for those who have more flexibility when it comes to buying a home, there could be a better time of year to get serious in your search. 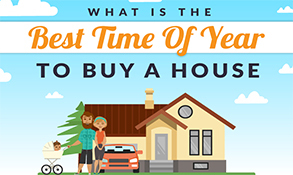 When is the best time to buy a house? Here's which season is best for you! Just because average prices trend lower or availability is higher in a particular season doesn't mean that's the right time of year for you to start your search for the perfect home. After all, the value of residential real estate can be pretty subjective. That beautiful formal dining room may be the best part of the home to your eye, but to another potential buyer, it may seem like a waste of space. The huge closets that make you take notice may barely register for another person touring the home. 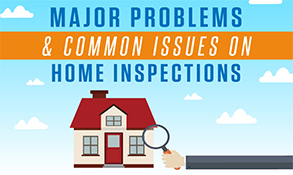 Issues that you as a knowledgeable DIY-er can handle yourself may cause another person to see nothing but large expenses and take a pass. In other words, the reasons why another buyer might wish to snap up a house immediately may solicit a shrug of your shoulders. Different things appeal to different types of buyers, and the season in which you buy is merely another factor in getting the perfect property. As summer temperatures rise, the real estate market heats up, too. If you don't mind a little competition, the most extensive inventory is typically available in the summer months, so you'll have more from which to choose. The issue — especially in the always bustling Dallas-Fort Worth market — is submitting an offer before the sellers accept another. You may also fall into bidding wars where prices rise above what the buyer is asking. But you'll see more available houses, so your odds of getting one that meets all your needs are higher in summer. A few other factors make house hunting in the summer easier and more pleasant. Sellers think summer is best. People who are putting their homes on the market believe that they're likely to attract more potential buyers and get a higher price for their property. This increases the number of homes to choose from, even if it can be a mad scramble to submit an offer on the more desirable properties. The sun is shining. You're more likely to enjoy looking at homes when the sun is out and the day is pleasant — though, so is everyone else. It's easier to see what a home looks like under the warm glow of the summer sunshine. You just can't evaluate a house as quickly when the landscaping is dormant, and the clouds are casting shadows over everything. You may feel more comfortable buying in summer because you'll — consciously or subconsciously — think you're better able to see any flaws or problems. The school year is over. Many parents are reluctant to pull their children out of school mid-year, so they wait until summer to make a move. 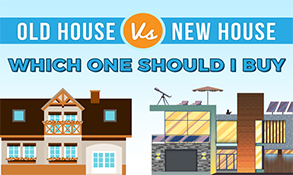 You may be in this category, and if so, you'll be able to more easily bring your children to home viewings to get their input on which house is best. Even if you don't have school-age kids — and especially if you're looking for a starter home — you can benefit from these families putting their own homes on the market as they move up. And families who need to move in a short window during the summer may be more willing to work with you on cost or make concessions after the offer is accepted. You can quickly sell your own home. If you're moving into a higher-end home, and plan to put your own house on the market, you'll benefit from doing it in summer too. 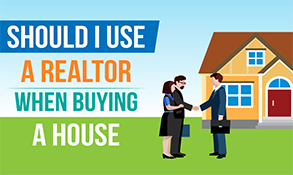 Your home will be on the market for less time, and you're more likely to get above your asking price if you can sell at the same time or shortly after the time when you buy. It's easier to sell your things. Don't want to move with a ton of unneeded stuff? Garage sales are more popular in the summer, and it's easier to attract attention from buyers on online sales sites like craigslist. People are more willing to take a drive to look at items for sale and more likely to pay top dollar for your used items. And you're not competing with all the people who've done a bit of spring cleaning earlier in the year. A bonus: That baby gear that you've been storing in the attic or basement and no longer need can more easily find a home as more babies are born in late summer. With more beautiful weather and more inventory, home buying in summer can yield a better chance of finding what you want. It may also be the best time of year to accommodate your family's needs and rehome any items you won't need in your new location. Whew! Fall is typically less crazy than summer as families settle back into their school-year routines and some of the other factors that increased inventory in summer take a reduced role in influencing the real estate market. Prices 'fall' lower is a popular saying in real estate. You won't see as much inventory on the market as you might have in the summer, but the prices of homes in fall tend to be more reasonable. Those sellers who attached a giant price tag to their homes in hopes of benefitting from the hot market are now willing to be more reasonable, and that can mean you'll get a better deal. Competition is reduced. Fewer buyers are looking in the summer, having just purchased a couple of months ago. You're more likely to have your offer accepted and less likely to get into a stressful bidding war to claim the home you want. Weather is better in the fall than the summer. House hunting in fall can be just as pleasant as looking in the summer, especially in the Dallas area. The average highs in the high 90s that mark July and August dip to a more comfortable 80 degrees and under in October and rainy days aren't markedly more. Tax breaks are better for first-time buyers. You can deduct your property tax and mortgage interest for the whole year, even if you've closed in the last couple of months. You may also get additional tax deductions for expenses and payments made on the house before closing; talk to your financial advisor or tax accountant for a full run-down on all the benefits of buying in the last quarter of the year. You may find fall to have a pace closer to your liking, and prices may be lower. If you don't like the stress of a high-pressure house hunt and you want to take maximum advantage of tax breaks, buying in the fall may be right for you. What's the main advantage of buying in winter? Cost. In the Dallas market, (and according to Trulia) winter prices average about 9 percent lower than in the peak of summer. That can mean thousands of dollars saved as well as less paid out in interest over the life of your home loan. 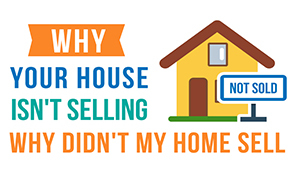 Typically, sellers in the winter are more pressed for time and the need to find a buyer. They may have an out-of-town job offer or have to relocate for family reasons, and they're more motivated to make the sale. 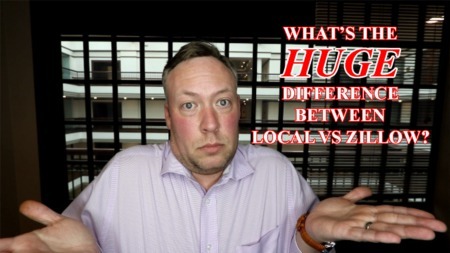 That translates to not only lower prices but also less haggling and hassles. Easier scheduling for contractors - If you want to make some immediate changes to your new house, winter is typically a slower time for many contractors and service professionals. You can't do everything in the winter that you could during the other three seasons — installing a new roof, for example, may need to wait until the risk of rainy days is lower — but many interior remodeling or repair projects can be done more quickly and for a lower cost than in the high-demand summer months. Great sales on furniture and home items. Need more stuff for your new home? End-of-the-year clearance sales and January home sales can help you outfit your place for less. 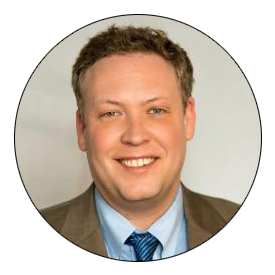 Undivided Realtor attention - You'll most likely get excellent attention from your Realtor to where you might feel as if you're the only person with whom your agent is working. 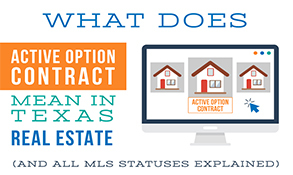 With fewer transactions in winter, agents have the time and motivation to move faster and get to closing. Inventory isn't as high in the winter, but if you do find that perfect property, you'll reap cost and other benefits of buying during the colder months. In spring, you'll start to see the market warm up with more properties coming up for sale. 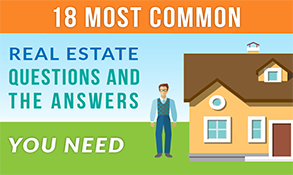 It's not yet summer, but many sellers want to get a head start on listing their properties so they can be through the deal and ready to buy their own home during the summer months. Besides the same weather and inventory reasons why you'd want to buy in summer, spring offers a few additional benefits. See the landscaping at its best. With spring flowers blooming and the grass green and just the right length, you'll be seeing what your future home will look like at its best. It's easier to evaluate landscaping needs and get right to work if things need to change. You'll also be able to schedule landscaping companies at the beginning of their busy season before their schedules get tight. Mortgage cost may be slightly less. Need a mortgage? While interest rates are dependent on some economic factors — the month isn't one of them — historical data shows that mortgage rates do dip slightly in April and May. 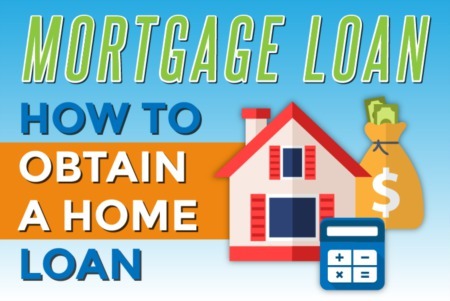 This is typically pretty small — we're talking 15-hundreds of a percent — but even if you only save about $30 per house payment, that can add up. Moving is easier in the spring. The weather in spring is pleasant for moving, but the moving companies are not yet fully booked. You'll be able to get reasonable deals and convenient scheduling, whereas in summer you may have to wait to get the resources you need for your big move. Spring is a beautiful time to go house hunting, and you may get a slight break on your mortgage rates. As well, moving may be most comfortable in spring. No matter what time of year you think might be best; it's a great idea to start working with a professional real estate agent now and keeping an eye out for the property that best meets your needs. With more than 100,000 jobs added to the DFW economy between November 2016 and November 2017, there's more demand for housing in all price ranges. As well, nearly 40 percent of homes sold last year brought in more than the asking price. 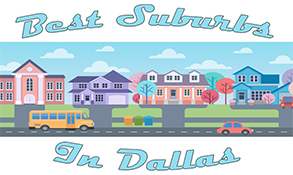 The Fort Worth Business Press reports that the average house sold for $12,023 above the listed price. With this boom, it's vital to know which houses are going on the market before the for sale sign gets stuck in the yard. 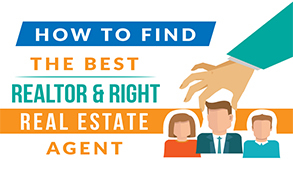 An experienced real estate agent can look for homes that meet your criteria and get you in to see them right away. 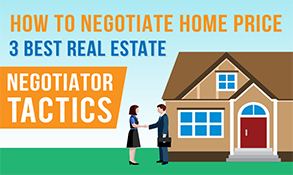 Your agent can also help you navigate these crazy bidding wars that can pop up, so you increase your chances of getting the right home for you and your family. Ready to get started in your search for the perfect house? You don't have to swim through the waters of buying in this hot market all alone. Even if you're not sure you're ready to buy this season, contact us to meet one of our experienced realtors. We'll be able to watch for the right types of properties and find the one that is ideal for you — whether that's right now or next summer, fall, winter or spring. 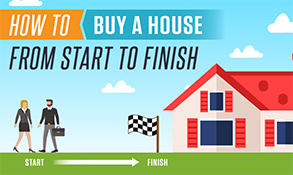 Great article, you really need to consider a lot of things before you sell your house or property, but if you want to sell your house fast people can also go to investor sites like forthomebuyers.com, since they buy houses at any condition. but if you are selling a land, one of the most effective is you can list your house online. Thanks for sharing this knowledge!